The meeting was amicable, a stark contrast to the meetings of earlier years that always ended with the rivals at loggerheads. 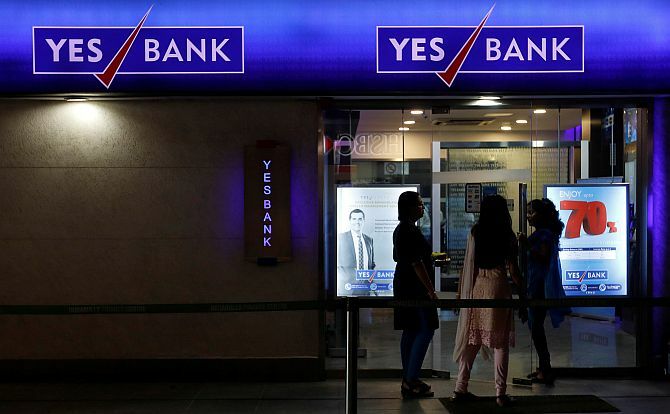 YES Bank founder and Chief Executive Officer Rana Kapoor proposed burying the hatchet with co-promoter Madhu Kapur in an attempt to retain control over the bank's operation. Kapoor met with Kapur and her daughter Shagun Gogia last week to propose that the two promoters pose a united front. The proposal also included an option for them to merge shareholding power and voting rights, said sources. Kapoor's three-year reappointment was cut short by an order issued by the Reserve Bank of India recently. He will be in office till January 31, 2019. "Kapoor has enjoyed full access and knowledge of the functioning of the bank due to his role as CEO, which will go away once his tenure ends," said a source in the know. The proposal was Kapoor's attempt at ensuring that he has better access to the bank's operations, the source said. A YES Bank spokesperson said Kapoor had acted in his role as promoter and not as the bank's MD and CEO. The bank's articles of association state that any nomination of directors needs the consensus of both promoters. The two parties, the source said, had never made a joint nomination till date. While the bank board can nominate a CEO without the approval of the two promoters, the source said a joint nomination by the two would be highly considered by the board. The bank plans to submit MD and CEO candidates by December 15. An external candidate was highly likely, the source added, and that Rajat Monga was the only internal candidate being considered. Monga is senior group president at YES Bank. Kapoor's peace proposal included a promise to maintain information symmetry of the bank's functioning. Monga had earlier approached the Kapur camp to start peace talks on behalf of Kapoor, another source said. The meeting between the two was amicable, this source added, a stark contrast to the meetings of earlier years that always ended with the rivals at loggerheads. While there is no timeline set for Madhu Kapur to accept the proposal, both parties would like the matter to resolve at the earliest, he added. Rana Kapoor and his family together owned 10.64 per cent of the bank's equity as of last month, while Madhu Kapur owns 9.27 per cent, according to a BSE filing. Shares of the bank have been under pressure ever since the RBI trimmed Kapoor's term as the CEO in September. The RBI had reaffirmed that Kapoor's successor needs to be finalised before February. Who will succeed Rana Kapoor at Yes Bank?